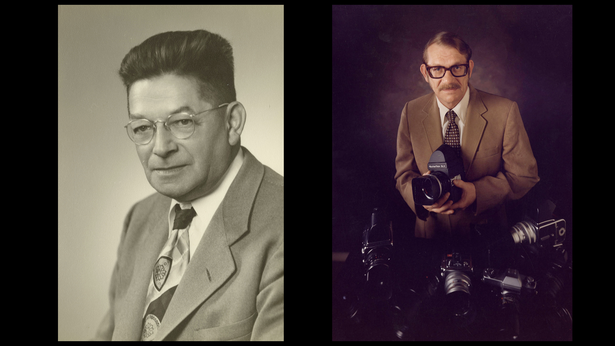 Joseph and George Fassbender were father and son professional photographers making and collecting images in the Black Hills for some 70 years. After George passed away in 1998, the collection went into storage. 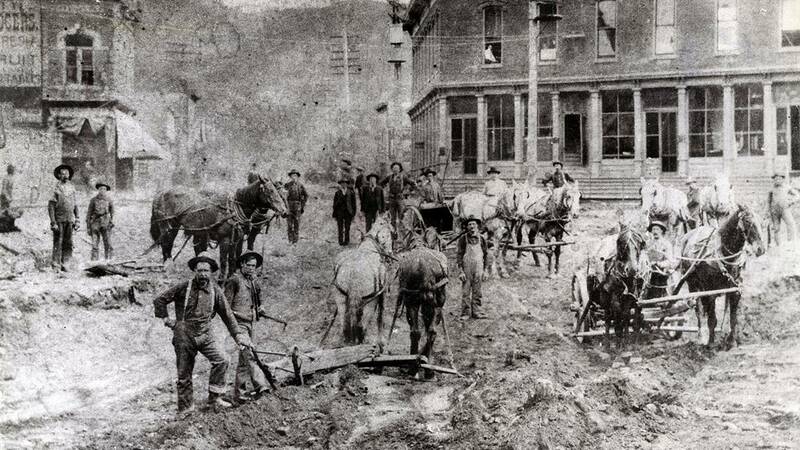 In 2010, the cities of Deadwood, Lead, and Spearfish purchased the collection, planning to preserve, archive, and present the wide variety of films and images. 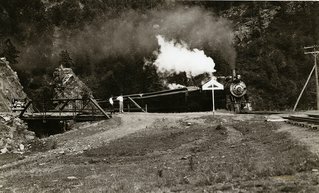 The collection is now housed in a secure and climate-controlled environment at the Homestake Adams Research and Cultural Center in Deadwood. 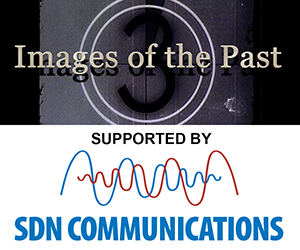 Since 2010, a curator and volunteers have been sorting through the approximately 800-thousand objects in the collection, from very old glass-plate negatives, to fragile motion picture film, to the thousands of portraits shot by the Fassbenders over the years. 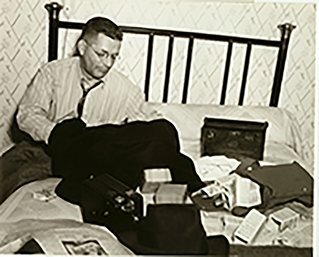 The Fassbenders were prolific photographers and energetic collectors. 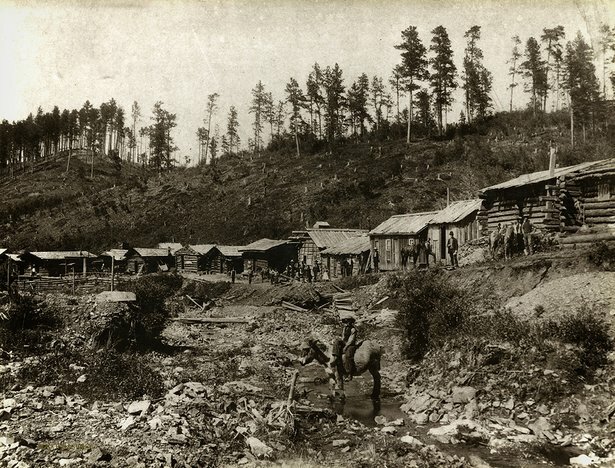 Many of the images in the collection were shot by other Black Hills area photographers, including some of the first to arrive in the Hills during Territorial Days. Joseph Fassbender immigrated to the United States from Germany in 1914. 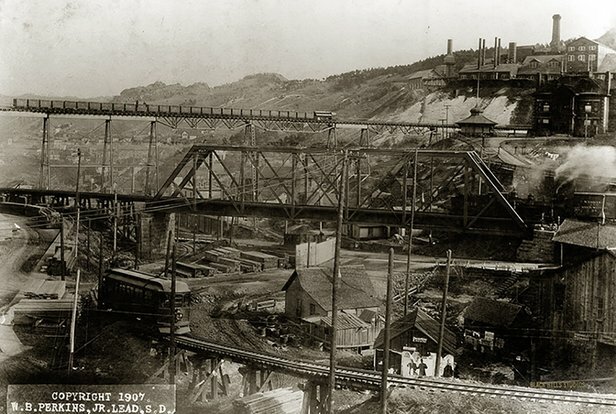 He worked at several jobs before opening a photo studio in Faith, South Dakota in the early 1920s. 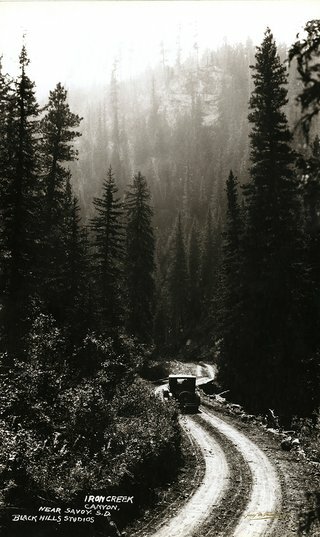 But Fassbender was drawn to the beauty of the Black Hills, which reminded him of home. In 1924, he accepted a job with an established Spearfish photographer, Ole Anders Vik. 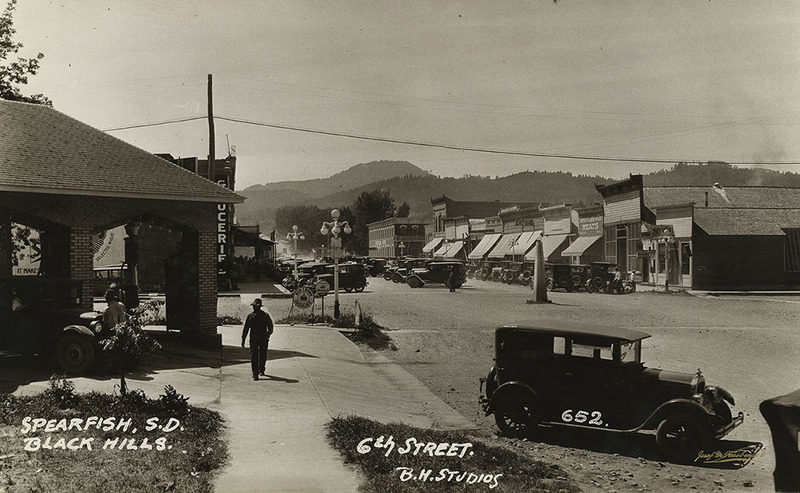 Fassbender eventually bought Black Hills Studio, doing business in Spearfish until the mid-1950's, when George Fassbender took over. 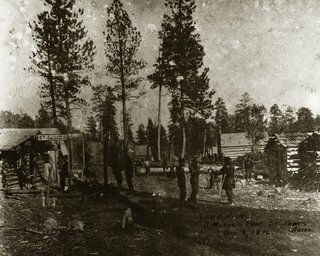 Joe Fassbender recorded many of the most important events in the Black Hills during the 20th century. 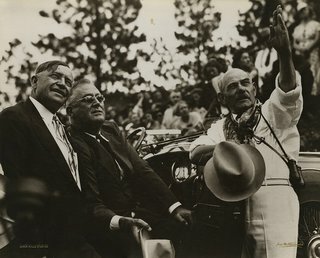 The photo above shows (L-R) South Dakota Governor Tom Berry, President Franklin D. Roosevelt, and sculptor Gutzon Borglum at the Jefferson sculpture dedication in 1936. 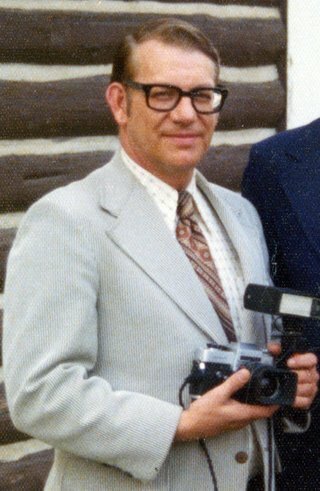 George Fassbender continued the work of recording and archiving local events in photos and film. Fassbender kept meticulous records of the portrait, school and wedding photos he made for more than 40 years.